This month we unveiled a Blue Plaque to our first Chairman, Sir Gilbert Barling at St Augustine’s Church in Edgbaston, the church where he was churchwarden, and where his funeral was held. After the unveiling, the plaque was installed on his nearby former home in Manor Road. 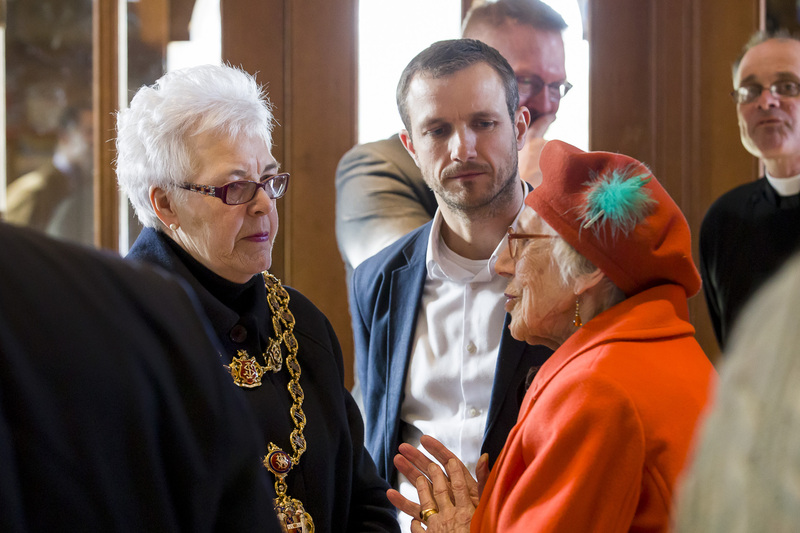 We were delighted that his granddaughter, Joan Woodward, jointly unveiled the plaque with the Lord Mayor, and that several of his descendants were able to join us. We also heard poet Casey Bailey perform ‘Blue Plaque’ his poem that has been specially commissioned to celebrate ‘The City Beautiful 100’. It was fitting that the unveiling of the Blue Plaque to Sir Gilbert was central to the launch of the heritage strand of our centenary celebrations, as he was our first and long-serving Chairman. In his professional life he was a distinguished surgeon and academic, and so we were pleased that Professor Dion Morton, who is the Barling Chair of Surgery at the University of Birmingham and Tim Jones, Executive Director of Delivery, University Hospitals Birmingham NHS Foundation Trust were also able to be there. We were especially grateful to the Reverend Matthew Tomlinson, our Trustee Stephen Hartland, who is also a churchwarden at St Augustine’s, and the wonderful ladies that baked cakes and welcomed us all to their beautiful church. And we would like to thank Norman Bartlam (tntnews.co.uk) for sharing his film of the day with us.